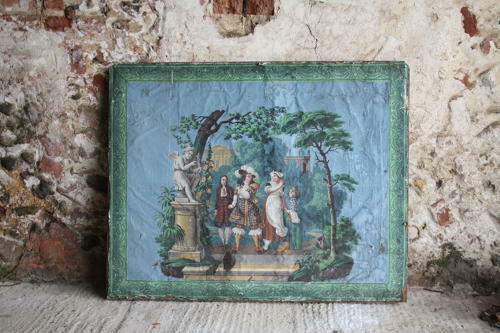 Beautiful large canvas depicting a typical French scene - dating to the early 1800's. The paper border is slightly later. There is some damage which can be seen in the photos.